1. Which labor group helped fund and organize the first Earth Day celebration? Today, our planet needs all the love it can get. From the increasingly severe impacts of climate change to rapid deforestation and species extinction, there is broad scientific consensus that we're up against a mounting number of potentially catastrophic challenges. The evidence notwithstanding, many of America's strongest environmental protections are under attack in Washington, a battle that's grown more divisive and hyperpolitical than perhaps ever before. The Trump administration and Republican congressional leaders have demonstrated their determination to weaken or flat-out eliminate many long-standing regulations and regulatory agencies that they say kill jobs and impede economic growth. For what it's worth, though, the environmental outlook in the late 1960s wasn't too rosy either. After decades of largely unregulated industrial and economic growth in the wake of World War II, the U.S. had managed to majorly muck up its air and water resources. Toxic effluent from factories frequently spilled into streams and rivers. Open spaces were used as dumping grounds. DDT and other synthetic chemicals contaminated natural habitats and water supplies. And air pollution from factories and belching cars left many industrial areas shrouded in thick blankets of smog. November 1966: In New York City, 168 people die of respiratory-related illnesses over a three-day period due primarily to horrendously poor air quality. March 1967: Interior Department Secretary Stewart L. Udall announces the first official list of endangered wildlife species. Among the 78 species is the bald eagle, America's national bird. January 1969: A blowout at an offshore oil rig near Santa Barbara caused as much as 4.2 million gallons of crude oil to spill into the Santa Barbara Channel and onto nearby beaches. It lasts for 10 straight days, becoming (at that point) the largest oil spill in American history. Today, it ranks only third, overtaken by the 1989 Exxon Valdez and 2010 Deepwater Horizon spills). June 1969: A particularly fetid industrial stretch of the Cuyahoga River running through Cleveland bursts into flames (seriously) when oil-soaked debris in the water is ignited by sparks from a passing train. As urban unrest and the anti-war movement ignited across the nation, environmental activism had yet to gain a strong foothold. “If the people really understood that in the lifetime of their children, they’re going to have destroyed the quality of the air and the water all over the world and perhaps made the globe unlivable in a half century, they’d do something about it. But this is not well understood." That's a quote from Sen. Gaylord Nelson, a Democrat from Wisconsin, who spearheaded a national day of awareness in the aftermath of these environmental disasters, . In late 1969, Nelson formed a bipartisan congressional steering committee and enlisted Denis Hayes, a 25-year-old Harvard Law School dropout, to coordinate the initiative. Influenced by anti-war campus activism, Hayes sought to organize environmental teach-ins throughout the country to occur simultaneously on April 22, 1970. With a limited budget and no email or internet access, Hayes and a small group of organizers mailed out thousands of appeals, recruiting an army of young volunteers to organize local events in communities and campuses across the country. "Rising concern about the 'environmental crisis' is sweeping the nation's campuses with an intensity that may be on its way to eclipsing student discontent over the war in Vietnam." "Lord knows what we thought we were doing. It was wild and exciting and out of control and the sort of thing that lets you know you've really got something big happening ... What we were trying to do was create a brand-new public consciousness that would cause the rules of the game to change." In the end, an estimated 20 million people participated in that first Earth Day, a name coined by advertising guru Julian Koenig (father of Sarah Koenig of "Serial" podcast fame). “It was a huge high adrenaline effort that in the end genuinely changed things," Hayes said. "Before (that), there were people that opposed freeways, people that opposed clear-cutting, or people worried about pesticides, (but) they didn't think of themselves as having anything in common. After Earth Day they were all part of an environmental movement." Hayes' assertions were affirmed by several national polls showing a rapid rise in the public's concern about air and water resources. In the Gallup Opinion Index, the percentage of respondents who considered air and water pollution a top national problem rose from 17 percent in 1969 to 53 percent by 1970. On Earth Day the following year, an independent group launched an anti-litter public service announcement, known as the "Crying Indian," which featured a white actor in a headdress, rowing a birch bark canoe and shedding a tear when he sees garbage strewn everywhere. Despite the ad's culturally questionable premise, it proved enormously popular and is still considered one of the most successful public service announcements in history. That brings us back to the first question of the quiz. The group most supportive of the first Earth Day organizing effort -- financially and otherwise -- was none other than the United Auto Workers. 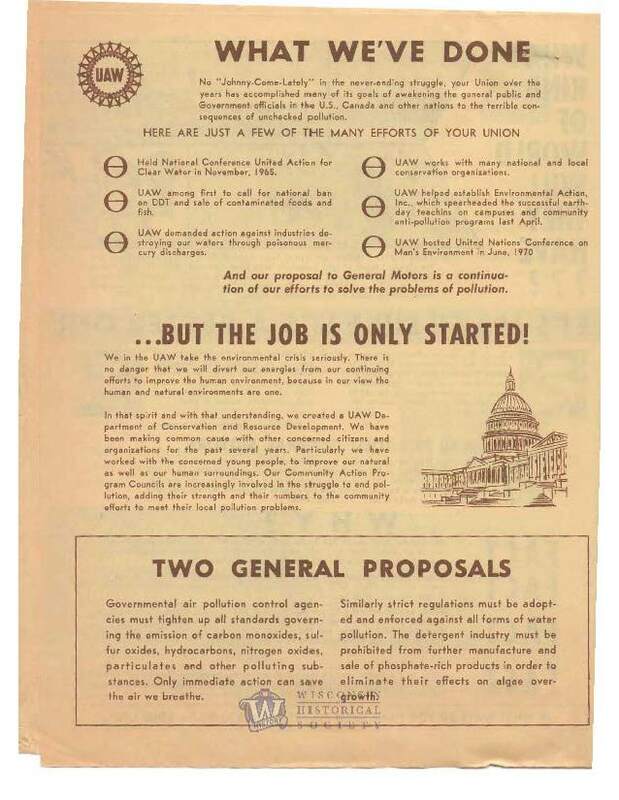 A labor union not generally thought of for championing environmental causes, the UAW donated funds for the event and turned out volunteers across the country. 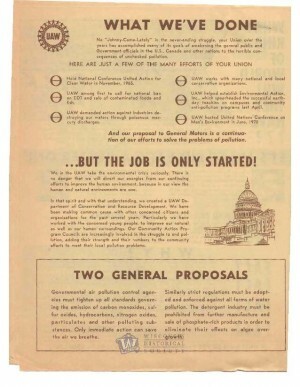 UAW President Walter Reuther pledged his union's full support for Earth Day and for subsequent air quality legislation that the auto industry staunchly opposed. "What good is a dollar an hour more in wages if your neighborhood is burning down?" he said. "What good is another week’s vacation if the lake you used to go to is polluted and you can’t swim in it and the kids can’t play in it?" That was said by President Richard Nixon during his 1970 State of the Union address. Yes, that Nixon, the conservative Republican most commonly remembered for prolonging America's involvement in Vietnam and resigning in disgrace over the Watergate scandal. But Nixon also oversaw the most sweeping environmental regulations in the nation's history. Even before the first Earth Day, Congress passed the National Environmental Policy Act, which among other things, required environmental impact statements for major new building projects and developments. Nixon signed it into law on Jan. 1, 1970. Environmentalism had never been one of Nixon’s major political priorities, but his administration -- like the UAW -- recognized the shifting political tide, as public outcry and media attention to environmental issues increased. It also didn't hurt that at the time both the House and Senate were controlled by Democrats. Within months, Nixon approved the creation of the Environmental Protection Agency (EPA) and the National Oceanic and Atmospheric Administration (NOAA). 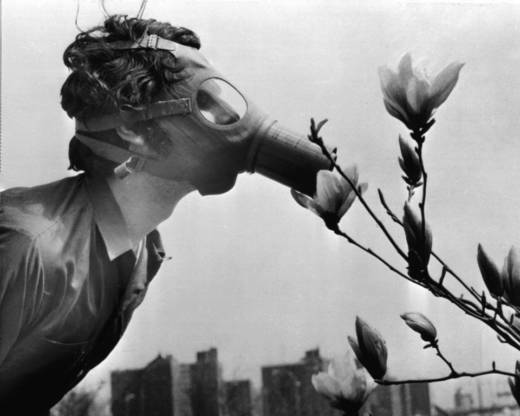 Later that year, he signed an extension of the Clean Air Act, requiring the newly formed EPA to create and enforce air regulations, which among other things led to the installation of catalytic converters on all cars sold in the U.S.
By the end of 1972, Nixon signed the Clean Water Act, Pesticide Control Act (which banned DDT) and Marine Mammal Protection Act. A year later, he also signed the Endangered Species Act and the Safe Water Drinking Act. Most of these bills were approved with bipartisan support in Congress, in some instances nearly unanimously. "We are taking these actions not in some distant future, but now, because we know that it is now or never." Environmental conditions in the United States began to slowly improve. Which is not to say there wasn't strong political opposition and major lingering problems, But for a time -- stretching through the Ford and Carter administrations -- the pursuit of environmentalism maintained a strong bipartisan support. In the last year of his presidency, Carter even installed solar panels on the roof of the White House to promote renewable energy initiatives. The economic slowdown in the late 1970s swept in a tide of political change. In 1981, a year into his first term as president, Ronald Reagan appointed two aggressive defenders of industry to head the EPA and the Department of the Interior. As part of the "Reagan Revolution," the administration moved rapidly to slash federal budgets, cutting the EPA's funding by nearly half. Environmental enforcement was weakened considerably, as large swaths of public land were opened up for mining, drilling, grazing and other private uses. In a famous symbolic act, the solar panels on the White House roof were dismantled during his second term. To be fair, a number of significant environmental policies were advanced during Reagan's administration, including the Superfund program to clean up hazardous waste sites, creation of wilderness areas and the Montreal Protocol, an international agreement to protect the ozone layer by phasing out the production of substances responsible for its depletion, an effort that has been largely successful. But the anti-regulatory sentiment established during Reagan's presidency took root. Efforts to strengthen the nation's environmental protection laws grew increasingly partisan, a trend that continues today. The stream of regulatory measures approved by Nixon four decades ago would have scant chance of passing today's Congress. Throughout his populist presidential campaign, President Trump repeatedly took aim at environmental regulations, promising to roll them back and attacking them as elitist, job-killing measures that showed just how out of touch politicians were with the true concerns of ordinary Americans. Organizers of the first Earth Day had a key advantage: They were tackling visible, tangible problems impacting people's daily lives. Rivers and lakes were too polluted for kids to swim in; parks were strewn with trash; people were getting sick from foul air. The evidence was indisputable, and it made it a whole lot easier to draw clear connections between quality of life and the urgent need for strong environmental protections. In contrast, many of today's major environmental threats, like climate change -- which threaten to be even more catastrophic -- remain pretty abstract to many Americans. Unless you've been a victim of some disaster directly related to climate change -- say, your house has been destroyed because of sea-level rise -- it's harder to connect the dots. And that makes it far more challenging to convey the sense of urgency necessary to mobilize the masses and pressure lawmakers to act. The abundance of scientific evidence showing that burning fossil fuels is the key driver of climate change, and the persistent warnings by scientists and activists of impending disaster if we continue along this course, have clearly not proven effective enough to push the kind of sweeping environmental policies enacted in the 1970s. The United States, one of the world's largest greenhouse gas emitters, refused to join the Kyoto Protocol, a 2005 international treaty approved by 180 nations requiring rapid cuts in emissions, and in 2010, Congress failed to pass comprehensive national climate change legislation. The U.S. did, however, sign on to landmark international climate accord in Paris in 2015, in which it pledged to dramatically reduce its carbon emissions over the next decade. Environmental advocates and climate scientists generally agree that this marked a big step forward, but most say the deal doesn't go far enough to prevent the worst impacts of catastrophic climate change. For more on how we think about climate change, check out Climate Lab, a new video series from the University of California and Vox. Meanwhile, President Trump ran on a pledge to withdraw from the agreement entirely (although that now seems increasingly unlikely) and roll back the Obama administration's regulations that set the course to reach the carbon reduction goal. What degree of disaster is necessary to spur a new era of environmental change?